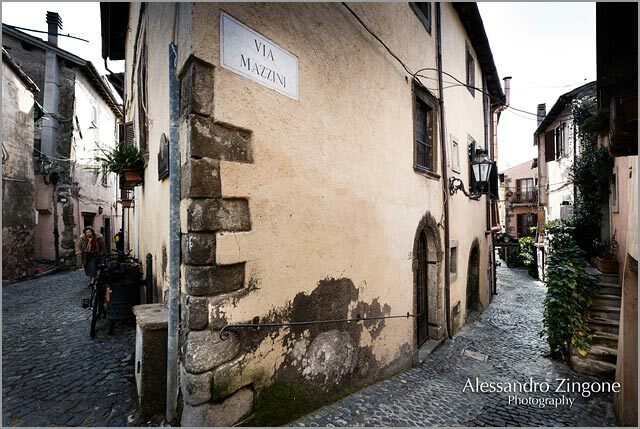 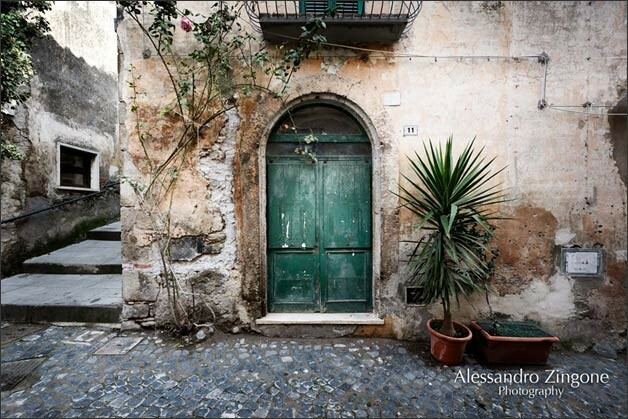 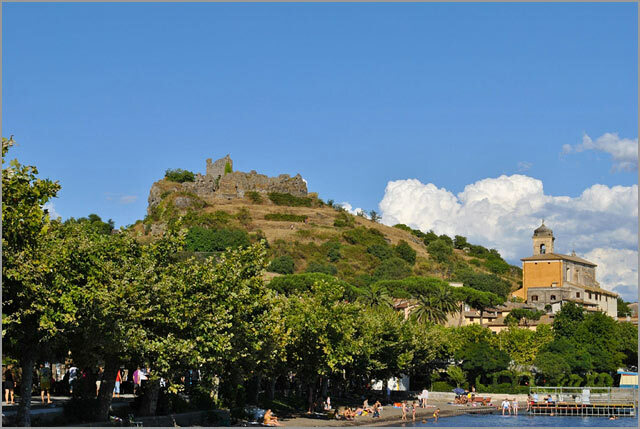 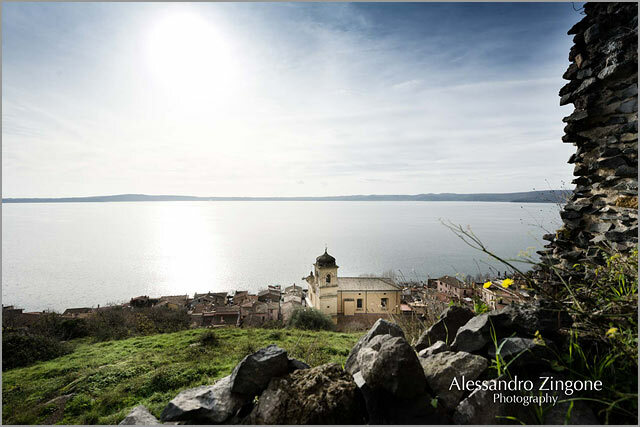 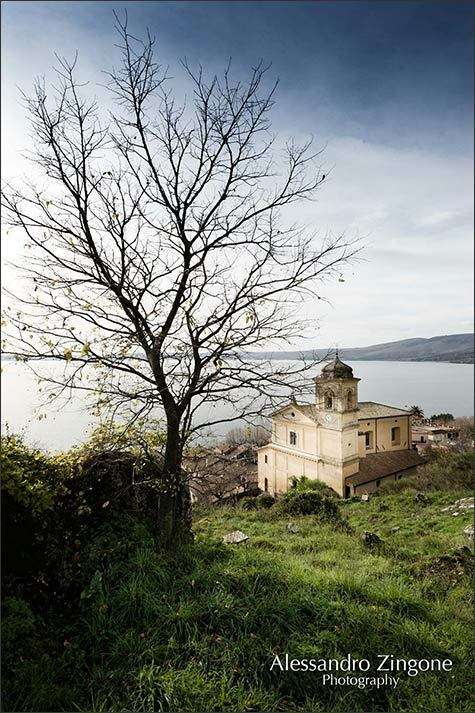 f you travel along the North shore of beautiful lake Bracciano , you will find the lovely little village of Trevignano, a medieval picturesque town, few km North of Rome, which is a real pearl of the lake. 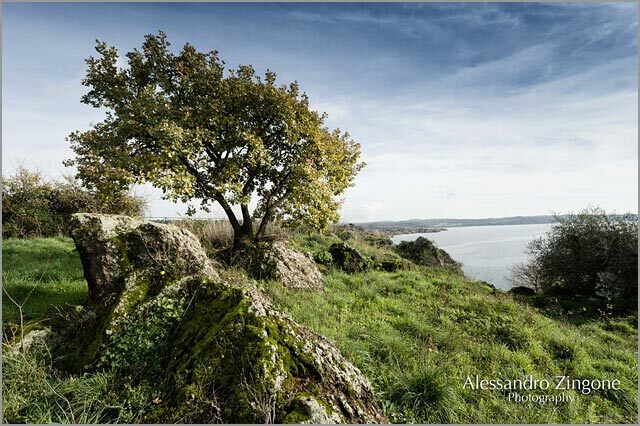 Built on a volcanic lava cliff drop, the village is located on a little gulf, the secondary crater of an ancient volcano. 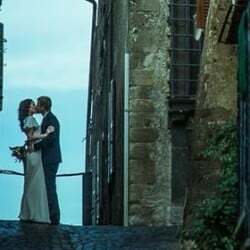 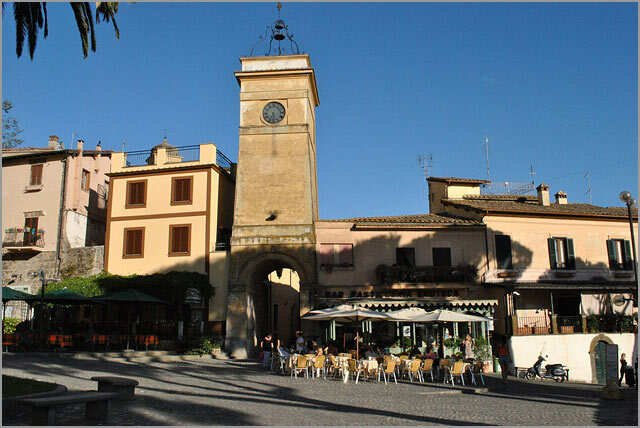 The medieval Borgo, is well preserved and the beautiful tree-lined promenade that stretches for about 3 miles, with many bars, restaurants and beach resorts, are the perfect setting for a relaxing italian summer vacation and above all for a romantic Italian wedding. 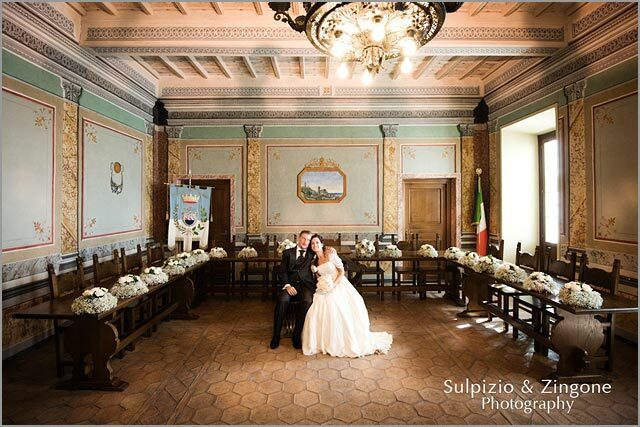 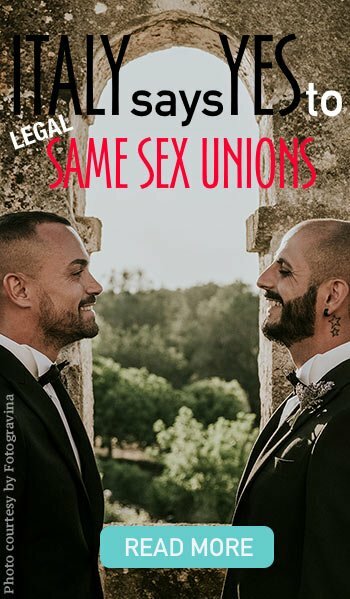 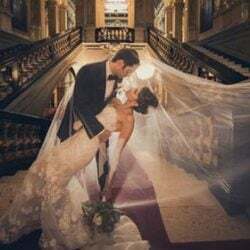 If you are thinking of a civil marriage, it can be celebrated in the beautiful town hall located in the main piazza, right in front of the lake. 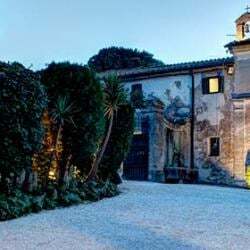 The hall is richly decorated with beautiful frescoes and from the window of the ancient palazzo, you may admire the amazing landscape of the lake. 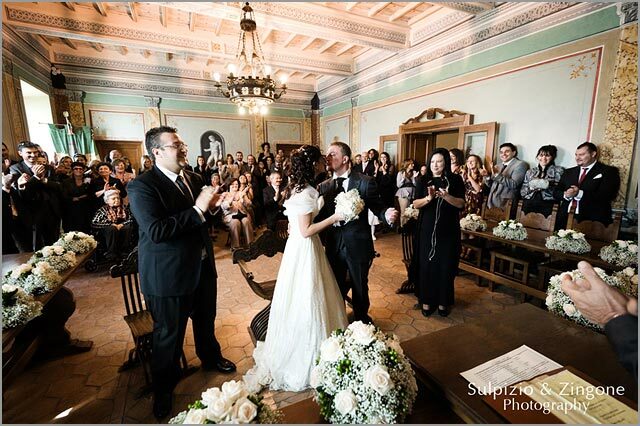 On the other hand, the catholic ceremony can be held in the old Assunta Church built on the ruins of a gothic building that towards the end of the eighteen century it was completely rebuilt in baroque style. 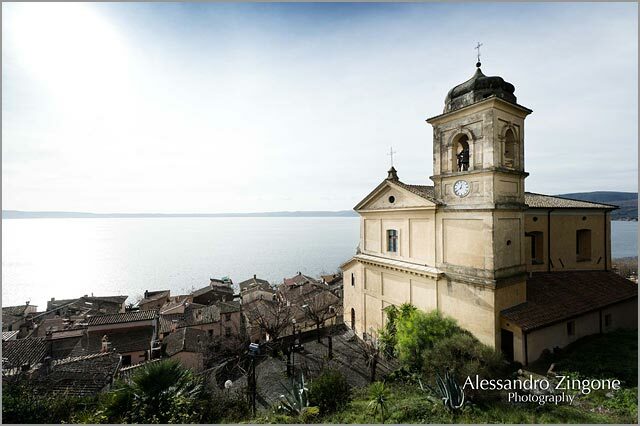 Your wedding pictures set may begin from the church square and from the adjacent Orsini’s Rocca, the ruins of a 1200 fortress that with its elevated position offers stunning views of Lake. 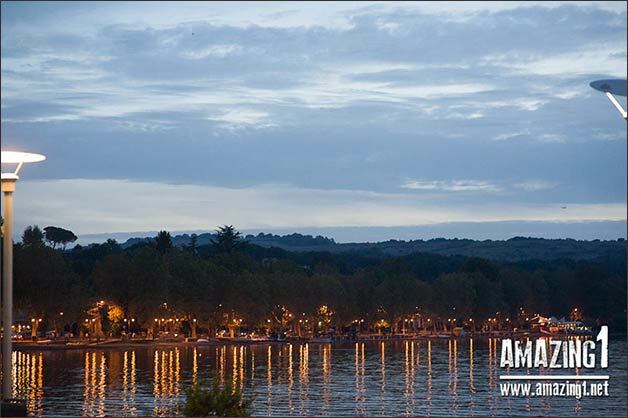 Walking down to the dock, you could have have an charming aperitif on a motorboat that making the tour of the lake. 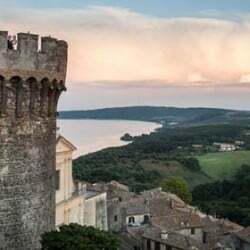 You will give the chance to yourself and your guests to share a romantic sunset between crystal waters watching the beauties of the lake such as the huge Odescalchi castle, from a special point of view. 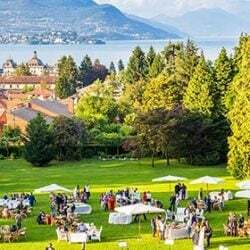 Once back to the village, you have different choices for your reception. 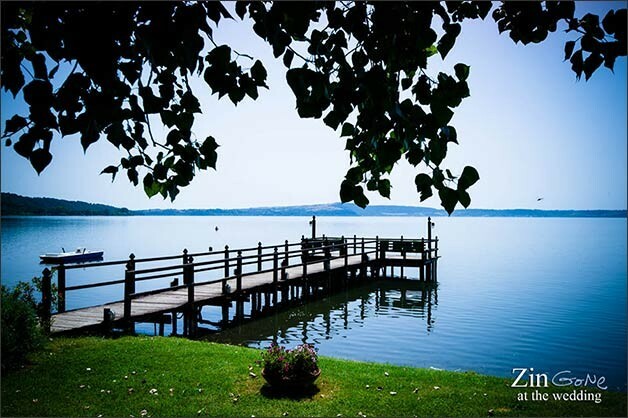 You can also opt for a typical Italian restaurant overlooking the lake, with gourmet Italian food and the best wines we have to offer or a private villa right on the grass of the lake, maybe into the nature reserve surrounded by trees and a quiet atmosphere. 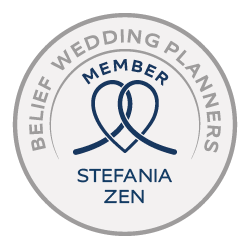 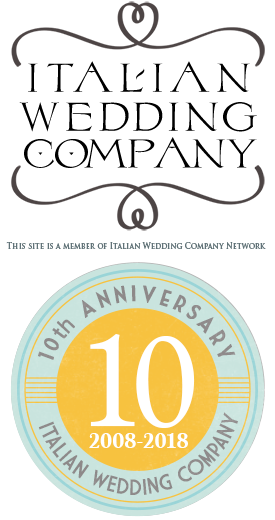 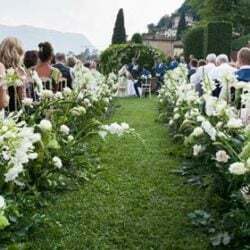 Anyway, if your dream is having an elegant wedding on the shore of an unspoiled lake, with sun-touched hills reflected in its mirror-like surface, then do yourself a favor and make plans today to hold your wedding in the ancient and romantic town of Trevignano.